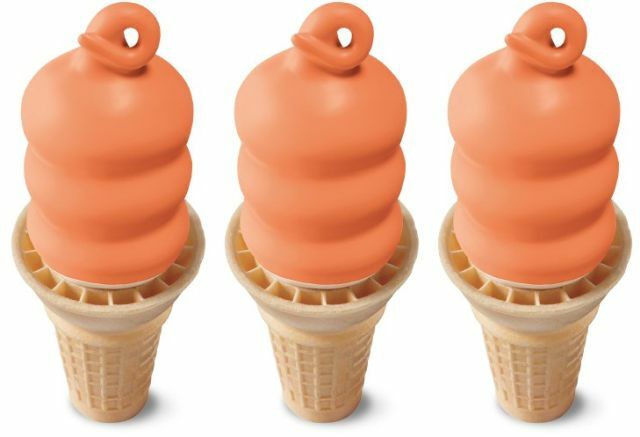 Offering their take on an orange and cream ice cream bar, Dairy Queen serves up the new Dreamsicle Dipped Cone. The new dessert features a cone of vanilla soft serve dipped in a crunchy, orange-flavored coating. It joins the chain's Chocolate Dipped Cone on the menu. The use of the dreamsicle name is interesting as most companies that make similar products call them "Orange Cream" bars rather than dreamsicles. This is probably to avoid the similarity to Creamsicle (the original orange cream bar), which is a trademark of Unilever, which also owns the Popsicle brand and trademark.